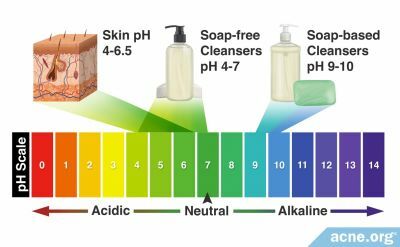 Does the pH of Your Cleanser Matter? adfreak1991 posted a blog entry in Let's do this, Dan! 2 Months Into Dans Regimen! Whoop! The 2 month mark is here! 8 weeks! This is a crucial milestone, people. A crossroad of sorts. This is the time I told myself I'd evaluate my progress and decide if I should continue... Well? What do you guys think? Is it worth sticking it out another month? Another 2 months? Forever?!? From the album: Some of my pics ! MONSTER ME This is how you look when you apply Kojiglo Gel..All this whiteness will go in 10 minutes Those who got afraid..I got no intention Lastly please keep smiling..Acne is stressful but life is more beautiful Drink lot of water Coconut Water Just do whatever but please do not take stress due to Acne..At end you will realize it is not worth it..Those who love you will love you with 100 pimples and those who do not love you will hate you even with clear face !! Looking For A Gental, All-Natural Foaming Cleanser? Pure Vegetable Glycerine Bar Soap - Has Anyone Used It? Hey guys, I'm looking for a new facial cleanser and I was just wanted to know if anyone has some suggestions that would work on moderate cystic acne. I'm trying to use my Atralin several times a week and really loving the way my skin is looking but it's very sensitized and peels. My normal products are Vivite which is a medical grade line that contains Glycolic & Salicylic so I can't use them while using Atralin. I got CeraVe and really like it BUT it does not remove the Heavy Make-up I wear to cover my acne & pigmentation issues. I even read a product review about it and they said the same thing. Not good to remove make-up. Can I Use The Regimen Cleanser To Remove My Makeup? Can I Use the Regimen Cleanser to remove my Makeup???.. Im kinda scared about what to use to remove my makeup, Any advice? Got Rid Of Acne! - Drugstore Alternatives To The Regimen! Upgraded Regimen? This Will Work! I just started using this cleanser about a month ago.. I haven't bought the BP yet. I still have some BP left from my proactive kit.. After using this cleanser for about a month, my face is breaking out like non other.. I have big, painful bumps on my forehead. Does anyone else have similar experiences like this? I'm starting accutane in a month and i'm really at a loss for what cleanser and moisturizer i should use. I'm looking at products and reading reviews and it's all overwhelming!! 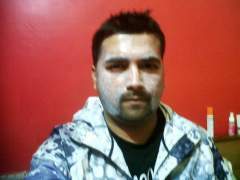 i currently use cetaphil face cleanser and neutrogena sensitive skin face lotion. I think the cetaphil is decent, but i've heard about how SLS can irritate skin? so maybe i should switch. Also, i've used that neutrogena lotion forever and i don't particularly love it. My skin seems more red after i put in on. Is This Moisturizer And Cleanser Good For Accutane?